The best advice I can give to motivated startups and their founders is to stay focused and optimistic in the face of rejection. My background is in technology sales and marketing, so I learned early in my career that some of the best ideas will die before stage one, and some ideas that do not seem special will take off and become successful. A lot of people will tell you no, whether your idea is great or not. I have formed something of immunity to rejection over the course of twenty years in the world of sales. There are as many paths to founding a successful startup as there are people with ideas, but I have found a few rules to be true in most cases. 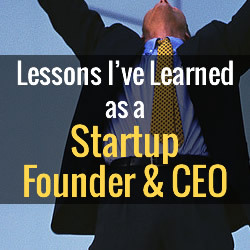 As a supporter of the tech startup community, I’d like to share the lessons I’ve learned. Risk and change can be incredibly stressful in the workplace, but as a startup founder, you will deal with both of these elements constantly, so learn to embrace them instead of fearing them. Some people enjoy taking risks, and while you don’t have to be a daredevil to succeed in the world of tech startups, you do have to be willing to put yourself out there. Taking a risk could be as all-encompassing as having an idea that seems counter-intuitive to investors at first, or it could be as simple as accepting a meeting tomorrow that you don’t think you’re ready to take yet. Obviously risks are not inherently advantageous; you have to build the skill of deciding which risks are worth taking and which would be left untouched. This skill, like any other, is built by practice and hard work – take risks, and you’ll learn from the ones that pay off and from the ones that leave you wishing you had not taken a chance. As a sales and marketing professional, I was most successful when I had close relationships with the people who could make me a profit. I’m not saying you should use people, but just the opposite – get to know the people who are important in your field. If you are passionate about what you do, it should be easy to connect with similarly inspired people. Find a mentor, join organizations within your industry, and make yourself available to the community at large. A large part of transforming ideas into revenue depends not on any kind of formal training, but rather on relationships with people who believe in you. To sell your idea you will have to be adept at building visions in people’s heads. How can you make them a profit? What does this person want or need to hear to translate your passion into an investment? I was at my best at the early stages of startups, when we had one year to get results. At that stage it is much too early to get on weekly sales calls to talk about the success of the product with the hope of impressing some investors – in the beginning, you need sales, you need them today, and your company fails without them. It would be impossible to overstate the importance of having someone on your team with a background or knack for sales. Even your most reliable investors will need to see that your product or idea has a spot in the marketplace. While some investors might be more visionary than others, the only sure way to prove your concept is attractive to consumers is by having receipts in hand. Your first idea is not always your best. When you think you’ve come up with a good concept, act on it – but allow your investors, the marketplace, and people you respect to change your idea. Chances are you probably will not have conceived of a perfect product, marketing strategy, and investment strategy overnight, so be open to improving all phases of your business. When I first came up with my idea, it was rather simple: I wanted to help hospitals communicate with their patients. I knew I wanted to incorporate mobile technology, but beyond that, the idea was relatively niche. After spending six months with local hospitals who loved the ability to send private and secure communications to their patients, I learned that I was tapping into an insufficiency that existed throughout corporate America. The people I worked with at these hospitals told me that while opening a secure channel of communication with patients was important, they also had thousands of employees who were not in front of computers all day with ready, immediate access to their professional email accounts. That was when the light bulb went off for me. Now, two and a half years later, my team at Red e App has built an extensive enterprise platform to allow these entities – manufacturers, hospitals, restaurants, and retail – to communicate at every level via a top down approach. Every week, you will want to get something finished, but that takes time and patience. It gets difficult to deal with the lulls of progress. Most startups will not be profitable for a while, so you have to be willing to accept that and wait for your time to shine. It might take a few years to gain enough traction to so much as pay your expenses. If you come equipped with determination, patience, and the ability to make people believe in you, you will be well on your way to succeeding in the competitive tech startup marketplace. 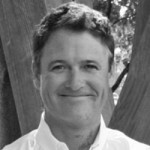 Jonathan Erwin is CEO of the mobile enterprise network Red e App. Jonathan has 20+ years in sales, marketing, and executive roles. As CEO and founder of Red e App, he is focused on helping customers engage employees more effectively through mobile communication.